Princess Grace and Prince Rainier. 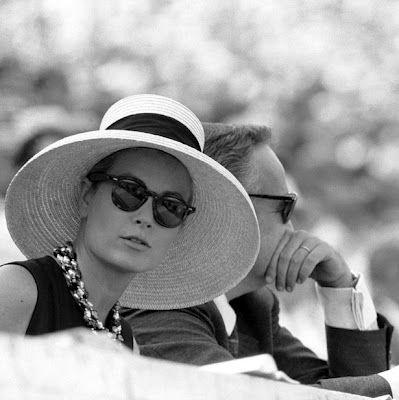 I came across this fun photo of Princess Grace and Prince Rainier and I love the straw hat on Grace! I love the wide brim, the black hat band, and I love that Grace wore it with a multistrand necklace, black sunglasses, and a black dress. I don’t know what year this was taken, I am guessing the early 1960s, but if you have any information let me know in the comments! 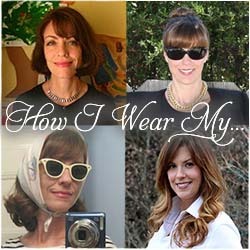 Let this photo of Grace in her hat be your friendly reminder that September’s “How I Wear My” is devoted to straw whether you like it in a hat, a bag, a belt, or some other sartorial creation! Send your photos to us at howiwearmy@yahoo.com by September 11, 2017 and be sure to include a description of your look, which we will use directly in our posts. I know I love a straw hat on the beach!!! !